To remove makeup easily, store-bought makeup pads are convenient, but may contain a lot of chemicals, which may be left on your skin. Many of them don’t really remove the makeup, they just smear it around. They may contain alcohol, too, which can dry out and irritate your skin. Being that they’re moist and a large package needs to last a while, they probably contain preservatives to keep them fresh. And remember, anything you put on your skin enters your bloodstream, too. You may be able to find some beauty products without the toxins—or, an even better approach is to make your own—with all-natural ingredients, of course. If you choose to use our recipes- you will witness how they work to remove the makeup entirely, you won’t need a toner to remove the excess makeup you can’t see. Our ingredients will also help prevent breakouts and will even out your skin tone. Plus, they only take a few minutes to make and cost a lot less than the store-bought ones. Witch Hazel—a natural astringent with many healing properties. While it can treat acne, it’s also soothes and removes oils from the skin and decreases inflammation. Tea Tree essential oil is a disinfectant and anti-fungal agent. It helps with acne, but avoid getting it in your eyes—that could cause serious side effects that could affect your vision. Frankincense essential oil helps rejuvenate skin and decrease visible signs of aging by acting as an astringent. Combine all of the other ingredients except the cotton pads into the Mason jar. Shake vigorously. Add a stack of cotton pads into the jar, cover, and shake again, making sure all of the pads are moist. Use care in the area of your eyes. Since there are essential oils in the recipe, avoid getting any of the solution in your eyes. Fill a 4-ounce Mason jar halfway with the cotton pads. Add the remaining ingredients. Make sure they’ve all absorbed the liquid before adding more pads to fill the jar. 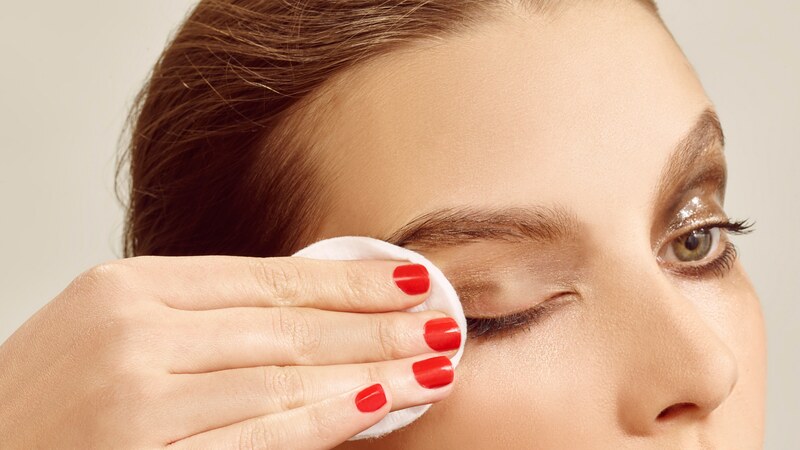 These makeup remover pads are great at home and on-the-go. They leave your skin clean and moisturized—and with all-natural ingredients.